Current dietary guidelines recommend that half of your plate at every meal be fruits and vegetables. Adding a wide variety of fruits and vegetables to your diet has a major nutrition diet, but it can be difficult to make the switch. 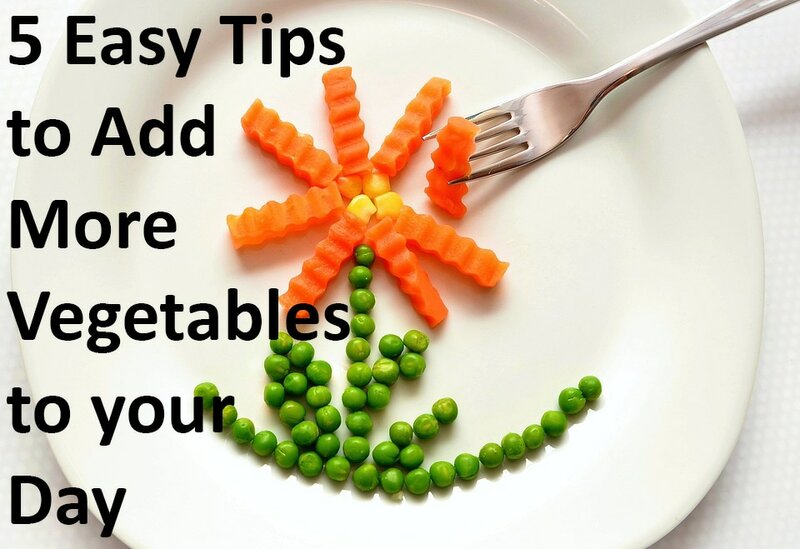 Whether you are preparing and cooking for yourself or your family, we will discuss tips to make adding vegetables in to your diet easy and accessible. 1. Freeze! Frozen vegetables provide all the nutrients of fresh vegetables, provided they do not come with a sauce or anything else added. Buying frozen vegetables in bulk can cut down on grocery costs, and look out for sales on frozen vegetables. Having a wide variety of vegetables handy in your freezer also leads to a fast, easy way to add vegetables to every meal. 2. How to Prepare. Consider dedicating one day a week to chopping up enough vegetables to store in the refrigerator and portion out throughout the week. Setting aside time to clean and chop vegetables like carrots, celery and onions will insure that you have plenty of ingredients on hand when you are short on time and cooking during a weeknight. 3. Cook. Cooking vegetables does not have to be complicated. For a quick, healthy side, steam fresh or frozen carrots, bok choy, green beans or peas. Place in a microwave safe dish with a bit of water and microwave until heated. 4. Snack Smart. Snack time is a great opportunity to increase vegetable servings in your diet. Keep chopped carrots, celery and cherry tomatoes on hand to pair with peanut butter, hummus or low-fat cheese. Vegetable snacks are great for the whole family! 5. Vary Vegetables. If you have a difficult time getting your family to eat vegetables, make sure to include lots of variety. While one vegetable might not go over well, with time and patience, you are sure to find a vegetable that every family member likes. Also try varying preparation methods, so while one dinner might include a salad, another dinner is a healthy stir-fry with lots of mixed vegetables. With these five easy tips, you and your family will be eating lots of vegetables in no time! For more easy tips on establishing a healthy diet, check out our other articles on kareboost.com. Come schedule an appointment with our Pediatric Registered Dietitian to help make your family become more healthy. 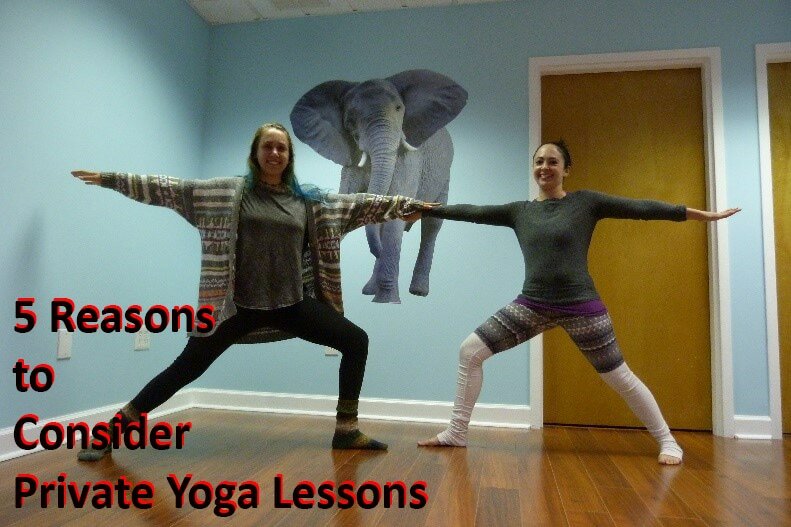 Whether you are an advanced yogi or brand new to the practice, you may be surprised to learn that private lessons can deepen your practice and provide new learning opportunities. Here are 5 reasons to consider trying private yoga lessons. 1. The Original Practice. Yoga was never intended to be a group class. It was traditionally taught as a one-on-one practice, and it was only when yoga was brought to the West that group classes developed. Developing a one on one relationship with a teacher is a completely different learning experience from attending group classes at your studio or gym. 2. Individualize Your Yoga. Group classes are wonderful, but do you ever leave with questions about why a pose does not seem to work for you? Because no one person’s anatomy is exactly the same as anyone else’s, not every pose will work for every person. However, in a group class, it is simply not possible to tailor every pose to every person in the room. Private lessons give you an opportunity to learn modifications, make adjustments and ask questions that you might not get to in a regular class. 3. Injury Management. Yoga teachers are not doctors, and they cannot diagnose or treat injuries or conditions. However, if you have an injury and your doctor has approved a return to yoga, investing in a few private lessons can help you learn modifications and alternate poses so that you can practice and continue to heal. Gaining this knowledge can help you return to group classes more quickly. 4. Deepen your practice. If you are interested in taking a few private lessons, know that it does not have to be a lifelong commitment. If you just want to work with a teacher for a short amount of time, you will still learn a tremendous amount that you can easily translate into a group class or home practice. Yoga absolutely can be a lifelong practice, and private lessons will teach you an enormous amount about the way you move, learn and think. 5. Stay motivated. Finding a group class that always fits your schedule can be difficult. Between work, family, school and other obligations, it is easy to put exercise and movement on the back burner. Investing in private lessons is a commitment to fitness, and it is also hugely motivating to have your teacher’s attention focused only on you for a full hour. Additionally, if your schedule is very hectic, finding a teacher that comes to your home will help you to fit yoga into your schedule more easily. KareBoost Health offers private yoga lessons either at KareBoost or in your home. Give us a call or come in to the center to learn more about our teachers, and how private lessons could help you! Come make an appointment for your first private lesson!! 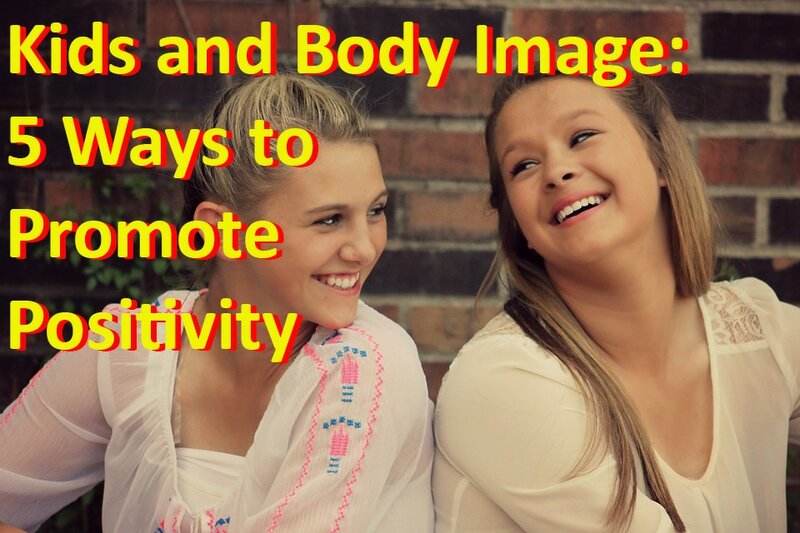 Body image is an integral part of developing a healthy lifestyle, and fostering a positive body image in kids helps them to feel comfortable and confident. Kids with a negative body image feel more self-conscious and anxious, and are at a greater risk for eating disorders and excessive weight gain. So how do you implement healthy eating habits and a love of movement without enforcing a negative body image? Here are 5 easy ways to get started. 1. Be a role model. Parental body image is a strong influence on kids. If you constantly talk about how you do not like how you look, or how you need to be on a strict diet, your kids will absorb these messages. Conversely, if you shift your focus to health and positivity, your kids will follow. Talk about how your strong legs helped you walk miles this weekend, or how much you love cooking and trying out new ingredients from the farmer’s market. 2. Shift your perspective. Unfortunately, so much of health talk revolves around weight loss. Weight loss, however, is not a measure of health. Kids especially do not need to worry about counting calories or restricting intake, the focus instead should be on fun movement and healthy, varied meals. You might notice that shifting the focus for your kids actually improves your own health and energy. 4. Be involved. Weight-related teasing is a big cause of bullying. Talk to your kids about it, and encourage your school to address this issue and support education that promotes health at every size. 5. Address body image in the media. While you are the biggest influence on your kid’s health, media images affect even young kids. Have conversations with your kids about how ads on television and in magazines are not realistic and may be retouched and manipulated. With these tips in mind, you will be able to help foster a healthy body image for your kids (and yourself)! If you need more support, visit us at KareBoost Health to find out how programs like family yoga and nutrition counseling can play a part in developing a positive body image and good health. Come make an appointment with our Health Coach and Behaviorist to help your child feel better about him or herself! !